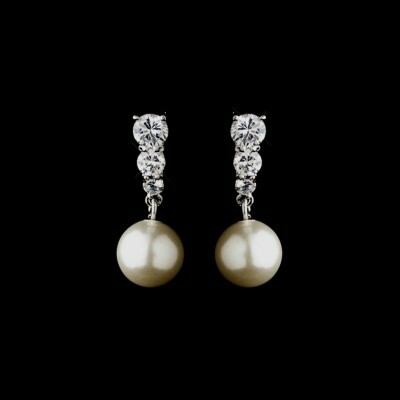 The Seymour earring is a chic and elegant pearl earring that provides a touch of understated luxury to any special occasion outfit. Suitable for the bride, bridesmaids, or mother of the bride. 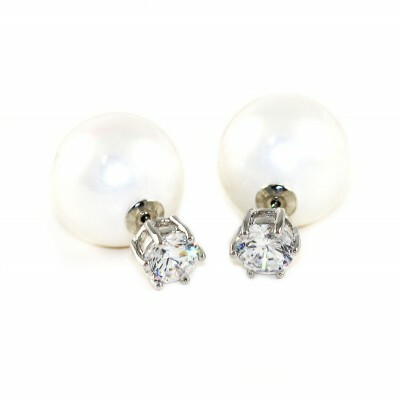 We recommend teaming this bridal earring with a vintage-inspired bracelet .. 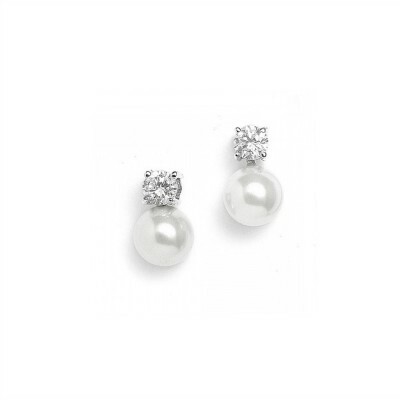 The Claudette bridal earring is a uniquely-designed pearl earring with a contemporary feel. 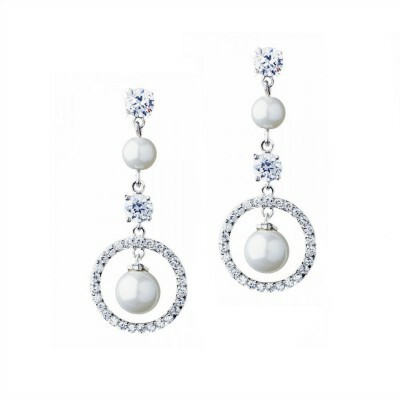 Sparkling AAA-Grade Cubic Zirconia stones set together with a lustrous off-white faux pearl. 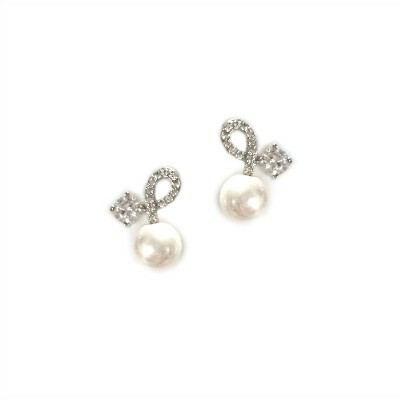 A highly versatile earring, suitable for weddings, special occasions and day wear. .. 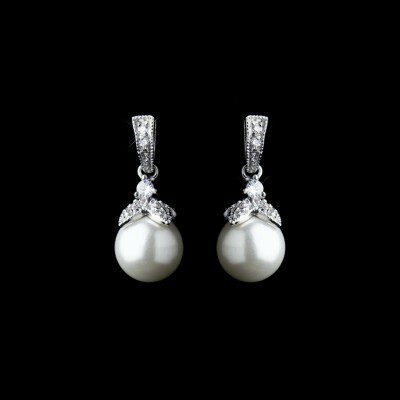 The Odette bridal earring is a classic and timeless pearl stud earring Perfect for any occasion, from weddings through to every day wear. 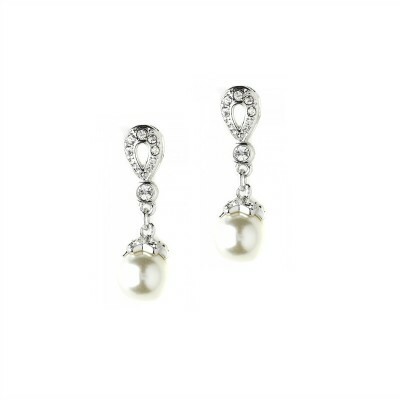 Composed of a natural-coloured freshwater pearl on a sterling silver post. 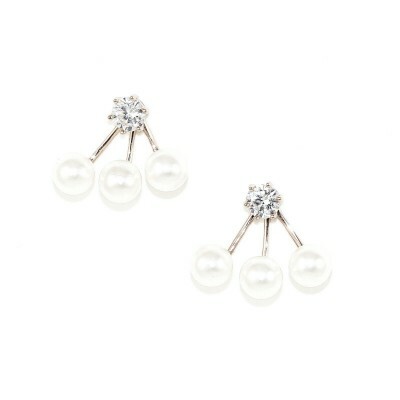 The pearl is a 'button pearl' with a natural rounded shape. ..